Recently a friend who quite aptly goes by the nickname “Bookworm” purchased four copies of The Flight To Brassbright. 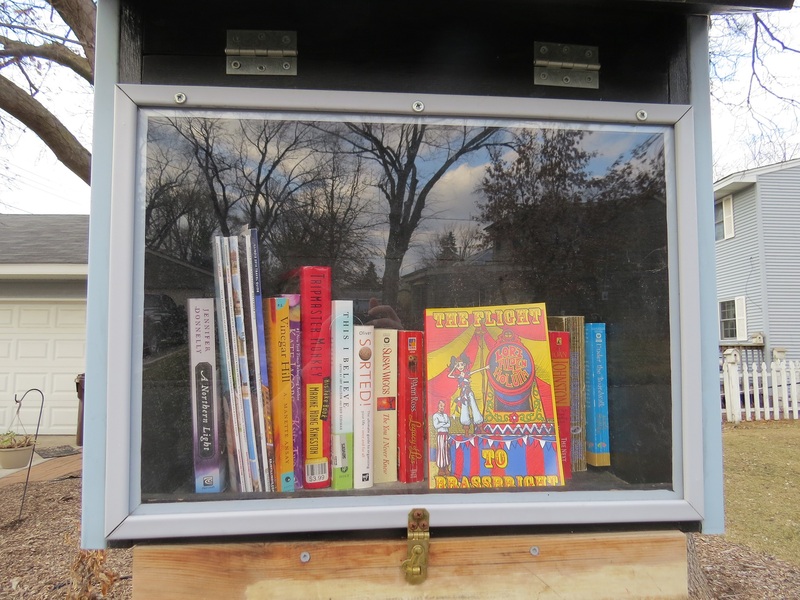 She sent them “out in the wild” by placing them all in Little Free Libraries around South Minneapolis and Richfield, Minnesota. What a delightful act of kindness! 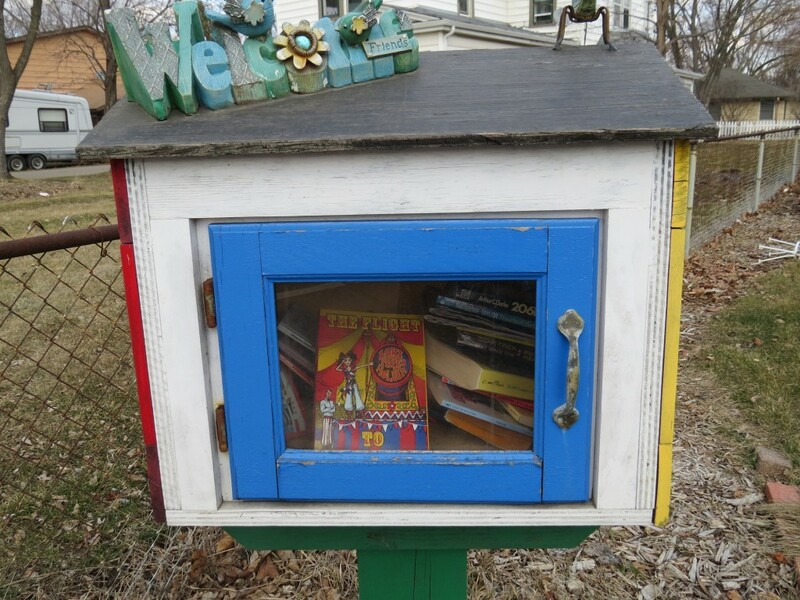 Do you have Little Free Libraries near you? 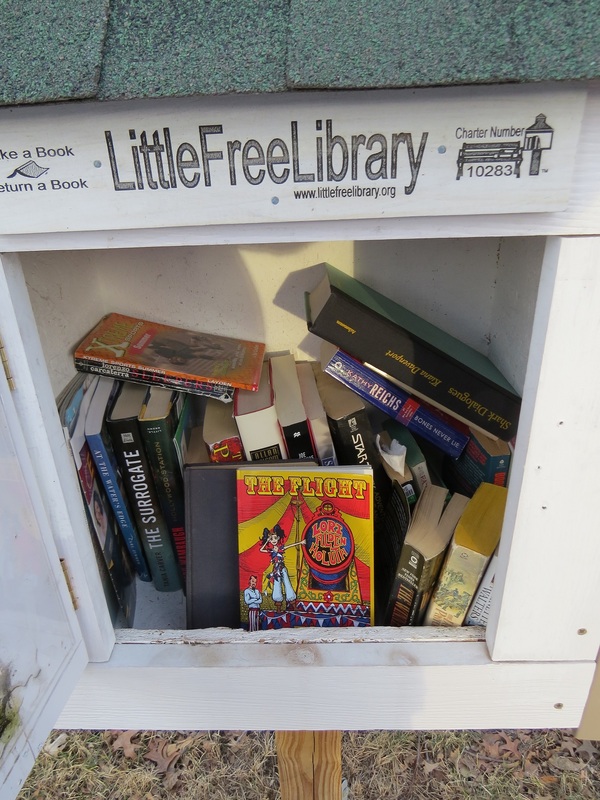 Visit Little Free Library and see what’s up in your neck of the woods. You can search for libraries near you, or learn how to start your own. If any of you have done this, I’d love to hear about it! You can comment to this post. Here’s a sleek, modern little library, organized quite neatly and just waiting to be browsed. 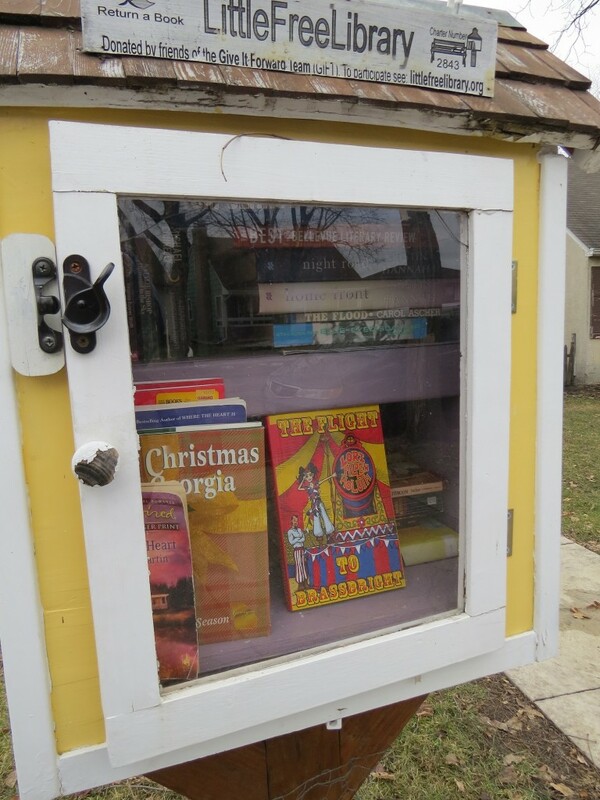 This cheery little library bids you “Welcome”. It’s stuffed full of books of all sorts. Bookworm noticed that this copy of The Flight To Brassbright in the South Minneapolis Little Free Library #2843 was gone the next morning. I hope it’s being enjoyed! “Take a Book, Return a Book”. I see well-loved tattered paperbacks next to nicely bound hardcovers. All books are waiting to be read and enjoyed.